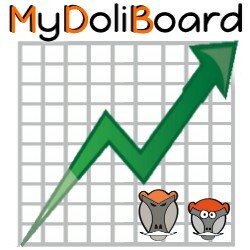 This module allows to create dashboards based from SQL query. 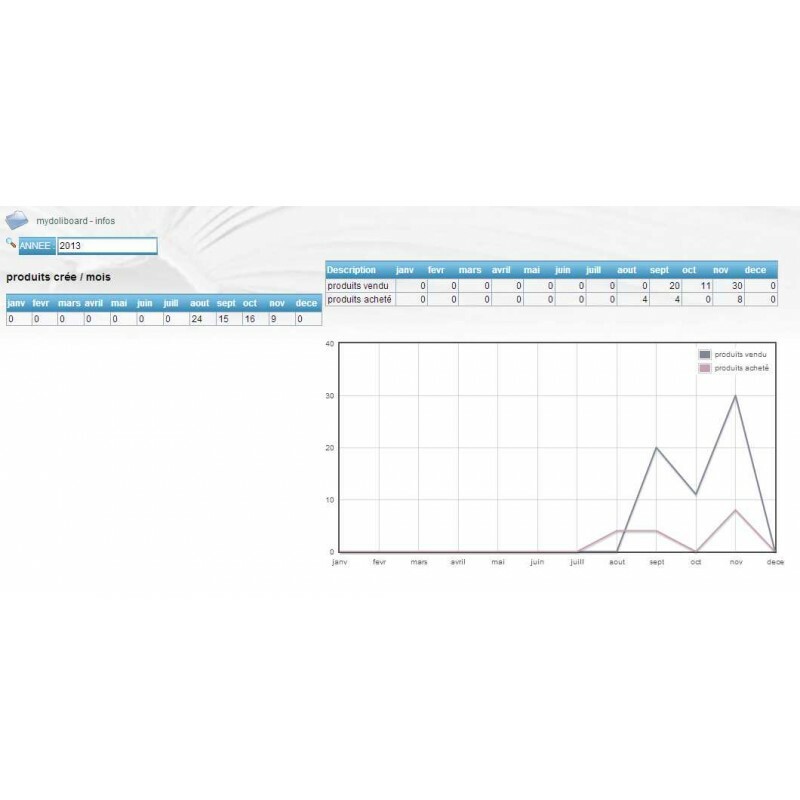 It is possible to associate a graphic chart of the dashboards. Naturally fit into dolibarr feature (menus, rights, translation). 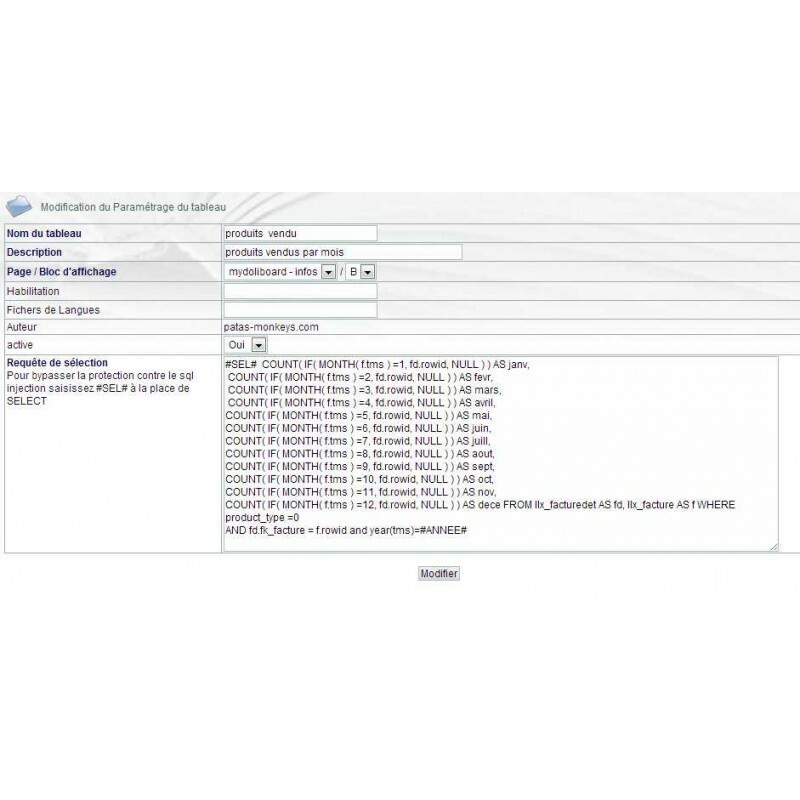 import and export dashboards feature in XML format. * Note : Our modules are optimized for the last 3 major stable versions of Dolibarr (5.0.x, 4.0.x and 3.9.x). Their functionalities may therefore be limited if used on older versions. For any personalized dashbord, contact-us via the contact form of our website telling what data you need to display in the dashbord. We will send you a proposal. 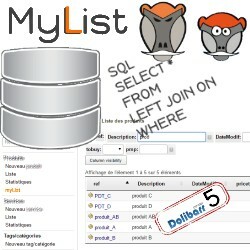 MyList allows the creation of lists from Dolibarr data and an SQL query.